Board 6 with black today. I did ok but managed to lose a long game. Presumably, White was trying to avoid any preparations I might have made for the game. But I had a nap and set my alarm for 1600 after playing my team game in the morning. The opening went well as nothing really happened. I equalized without much trouble and all I had to do was stay in the game which proved harder than I imagined. Here I found the right plan but not the correct followup. The bishops fully compensate for the broken queenside pawns. IM Annaberdiev Meilis(TKM) managed the big upset on board one beating GM Kovalenko Igor. 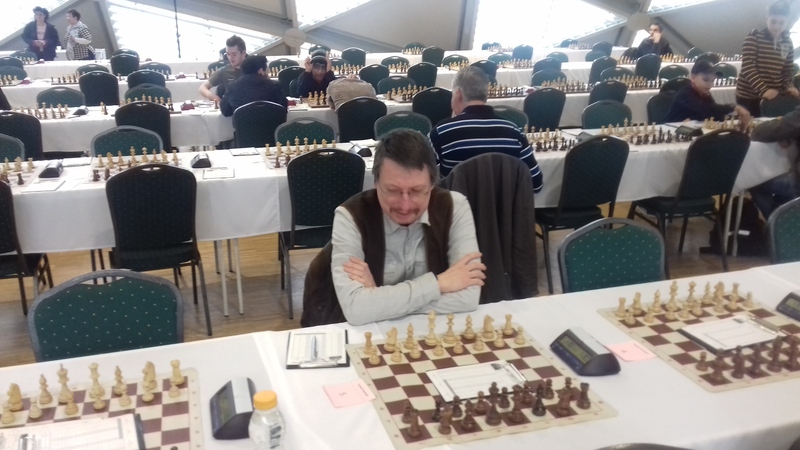 GM Odeev Handszar(TKM) beat GM Antal Gergely. Bo. No. Name Gr FED Rtg Pts. Result Pts. Name Gr FED Rtg No. Posted on March 19, 2017, in Uncategorized. Bookmark the permalink. Leave a comment.